The Vice-Chancellor, Professor Olusola Oyewole, has approved a formal collaboration between the Federal University of Agriculture, Abeokuta and the International Fertilizer Development Centre (IFDC), International Institute of Tropical Agriculture (IITA) and the National Root Crops Research Institute, Umudike, on the development of a proposal for the actualization of the Bill and Melinda Gates Foundation initiative on ‘Improving Fertility Management System for Cassava’. Granting the approval at a meeting with the Co-ordinator of the project, Mr. Cecil Osei ofIFDC, the Vice-Chancellor, who was represented by the Deputy Vice-Chancellor (Development), Professor Felix Salako frowned at the practice which excludes turning natural resources into the value-chain process, stressing that this played a vital role in productivity. According to him, lots of research proposals had ignored the importance of Soil Management to their researches, terming it as just applying fertilizer to soil for soil fertility. The Vice-Chancellor commended the Bill and Melinda Gates Foundation, while assuring all of the unflinching support of the University. He stated that the University, through its Grants Management Directorate, had managed numerous research grants successfully and with a track-record of accountability in the course of executing the projects. He said, “I am happy that you have come to look at the critical area of soil management and like I said earlier, you are in the right place, with the right people and we believe strongly in the personnel we have that they shall do the right thing”. Responding, Mr. Cecil Osei ,lauded the University for operating a vibrant Grants Management Directorate and for successfully hosting the last International Society of Tree and Root Crops Conference held in 2012, which speaks volume of the high standard of the University. Giving an update on the proposal, he said that it will be in the form of a unique consortium in which the main focus of the donor would not only be on detailed agronomy research,, but also on how to improve research focus. He expressed confidence that going by the antecedents of FUNAAB in managing the C: AVA project, he was sure that the University would deliver when the proposal finally sailed through. Earlier, the Director of Grants Management, Dr. Kolawole Adebayo stressed that “FUNAAB is expected to work on soil fertility for cassava farms; IFDC is going to contribute on the fertilizer aspect in terms of which is the best fertilizer regime for growing cassava; IITA will put in agronomy and breeding while Umudike and Crop Research Institute in Ghana will add cassava farm management system into it”. 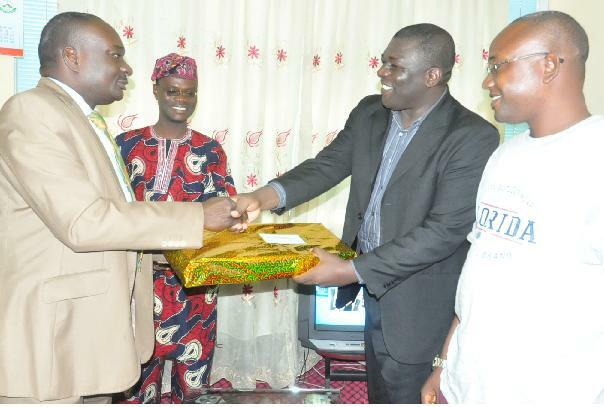 He said that the proposal, when approved would be of immense benefit to the University because presently, FUNAAB was working on the C:AVA project, which is a value-chain, market-led project and that its inclusion allow afford the University to research into how to boost the productivity of cassava farms.